(1 Customer Reviews) | Write Review 12 issues per year Cornwall Today is an award winning sophisticated magazine based in the heart of Cornwall that prides itself on its combination of superb photography and inspiring editorial. Cornwall Today is the biggest and best-selling monthly magazine for Cornwall, bringing you fascinating features and stunning photographs covering walks, wildlife, art, food, leisure, wellbeing, homes, gardens and more. If you love Cornwall, whether you live there, or enjoy visiting and want to stay in touch with what is happening in the county, then Cornwall Today is your monthly pass to all things Cornish. Cornwall Today is an award winning sophisticated magazine based in the heart of Cornwall that prides itself on its combination of superb photography and inspiring editorial. 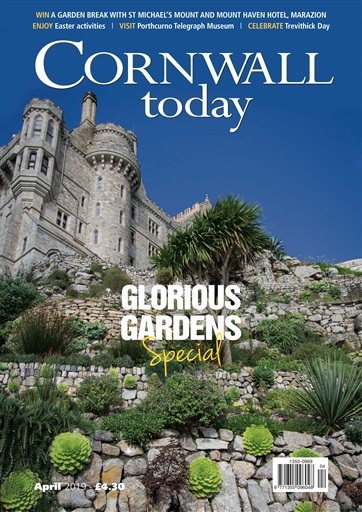 Cornwall Today is the biggest and best-selling monthly magazine for Cornwall, bringing you fascinating features and stunning photographs covering walks, wildlife, art, food, leisure, wellbeing, homes, gardens and more. You'll receive 12 issues during a 1 year Cornwall Today magazine subscription. Another Great Cornish Mag exploring Cornwall. You'll receive 12 issues during a 1 year Cornwall Today magazine print subscription.